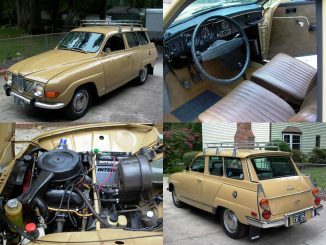 This 1967 Saab 95 is offered for sale through eBay and is being sold by a classic car dealer in Seekonk, Massachusetts. The car has been completely restored with a few custom modifications. 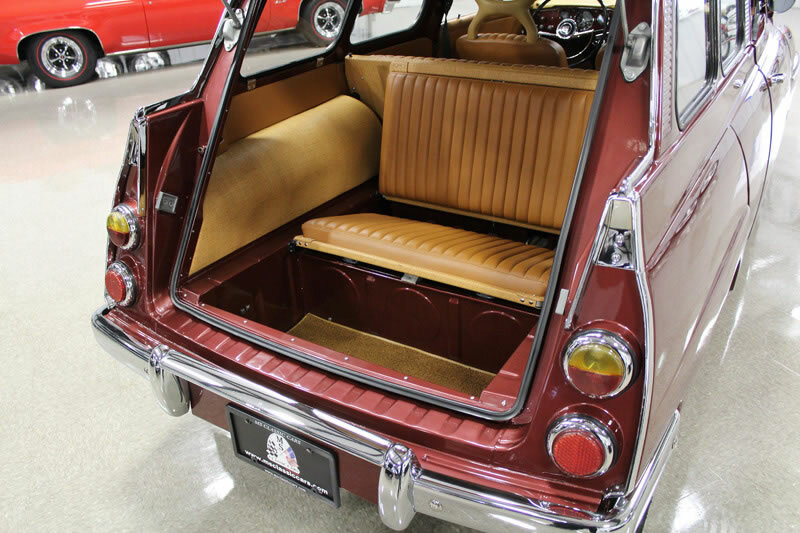 The exterior has been painted in a Mercedes wine color and the upholstery was redone in MB-Tex. The soccerball wheels originally came from a Saab Sonett. 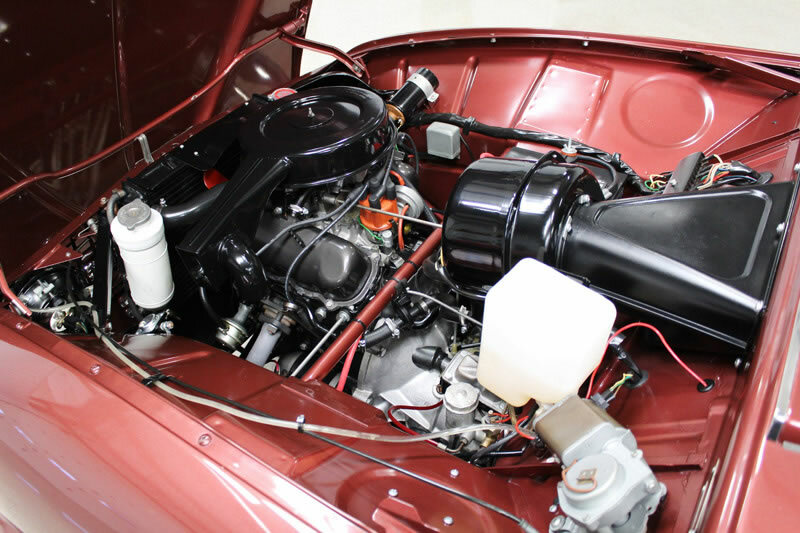 The original V4 engine has been completely rebuilt and the engine compartment has been detailed to perfection. 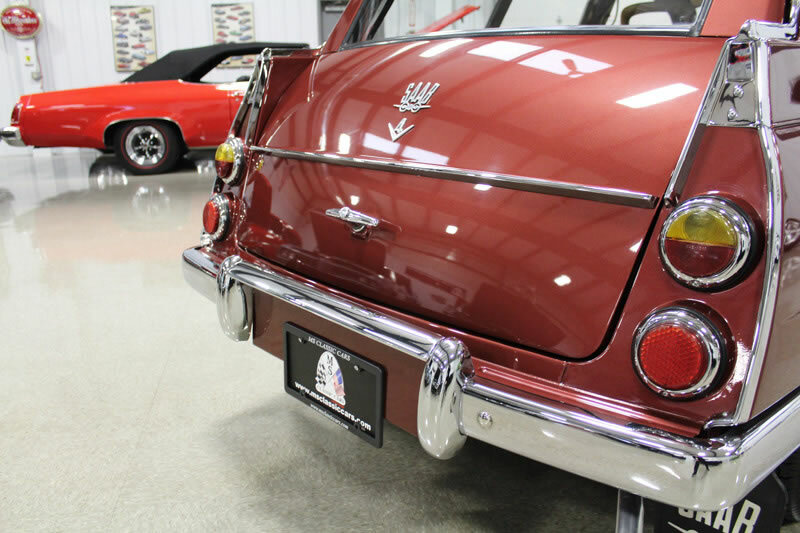 The car has only been driven 335 miles since the restoration. 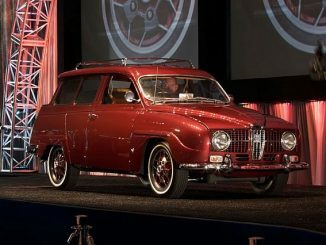 The price for all this Swedish goodness with a German touch and complete restoration? 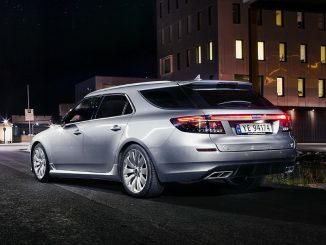 It will set you back US $34,900.00 which is at the high end for any Saab. 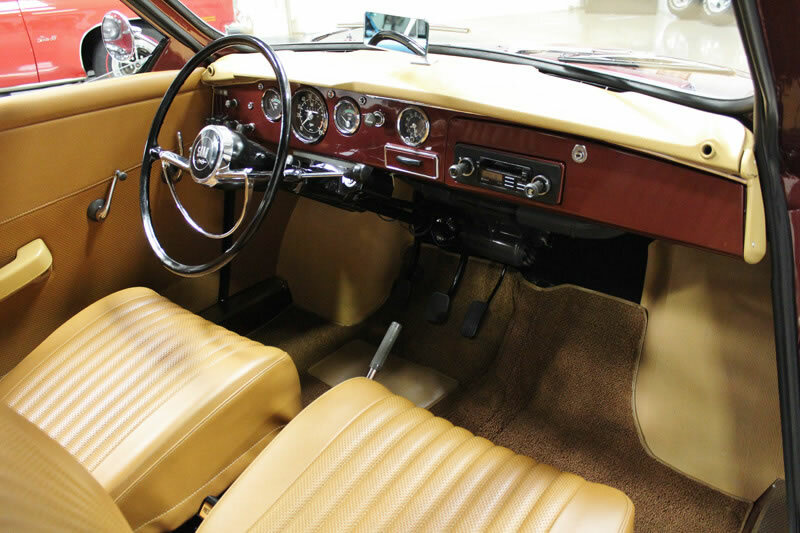 The Palomino interior with dash panel that is painted in the same color as the exterior certainly looks very tastefully done. 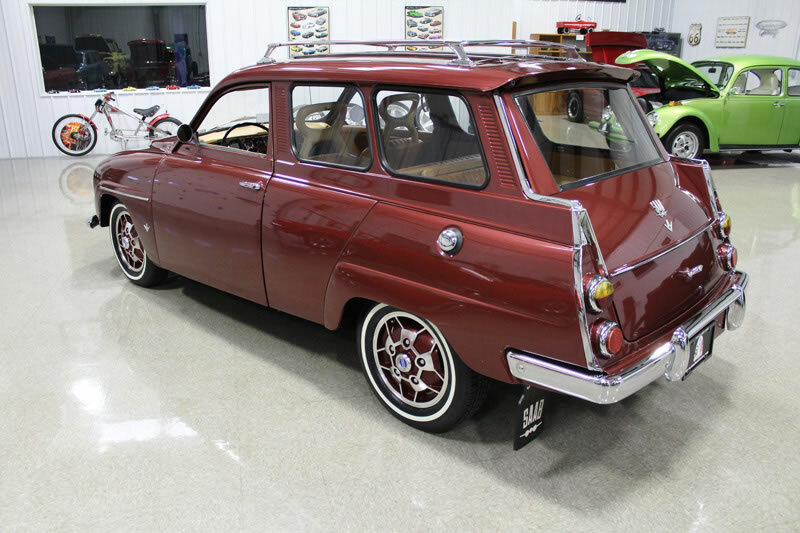 What do you think of this restoration and the price? Too much, just right or should have been different? Let’s hear you thoughts in the comments below. From all the information I’ve gathered this car spent its entire life in California. It was a true California black plate car. I’m not sure what happened to the original California black plates. 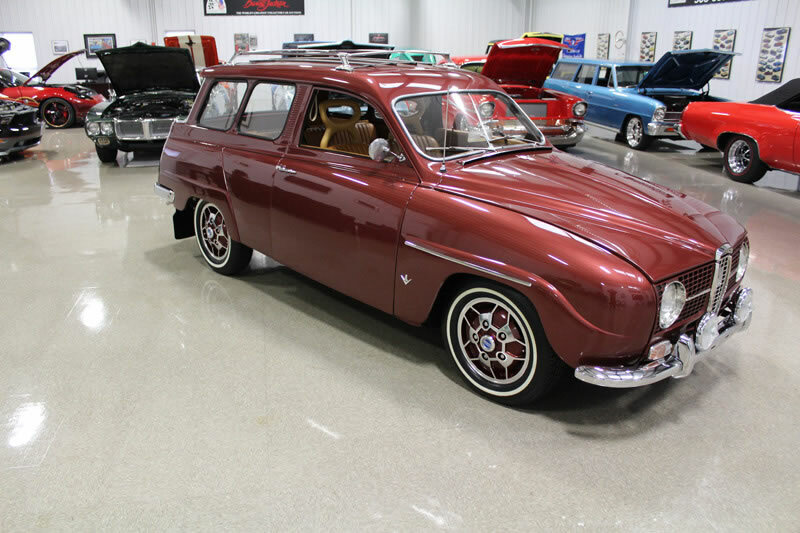 Since this car spent its life in California and was stored in a dry storage facility the body didn’t have rust issues that would require tons of bodywork. The exterior body is very straight with great gaps throughout. The hood which slides forward and opens the opposite way of a conventional hood. This is very cool. 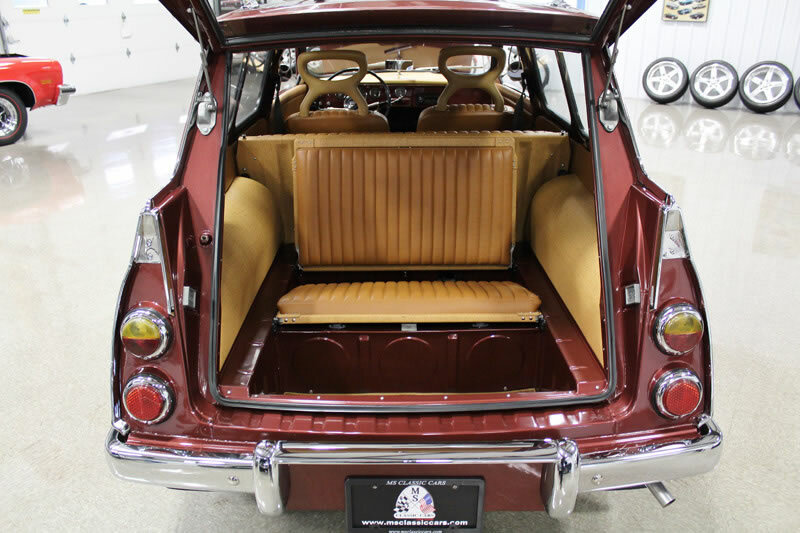 The doors and rear hatch open and close very nicely. The exterior was painted by well-known specialist Igor Boun of Northern California. He did an amazing job painting this car. This is a show quality paint job. The color is Mercedes Benz deep wine metallic. This is a beautiful color especially in the sunlight where it shines like a new penny. Eeverything on the exterior has been restored or replaced with the exception of all the glass, front windshield stainless trim and door mirrors. 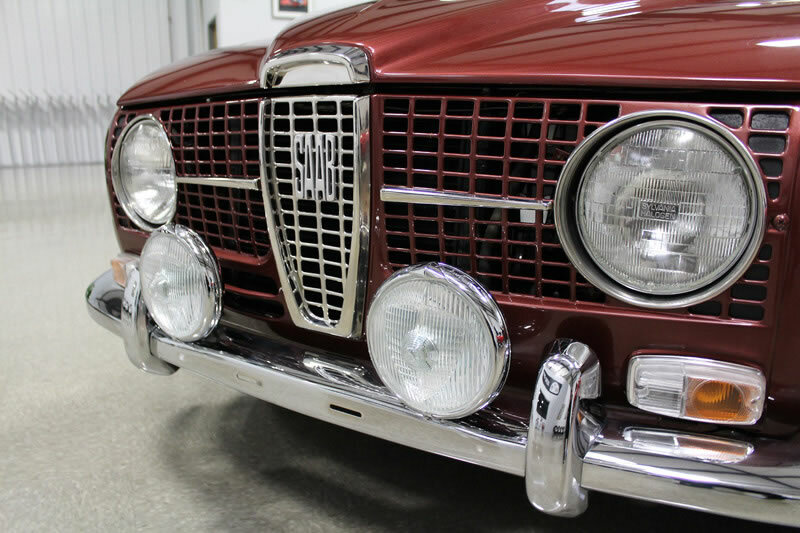 Examples of the restored or replaced items include the antenna, seals, bumpers, grill, luggage rack, door handles, gas cap, chrome trim, headlights, tailights, emblems, etc. 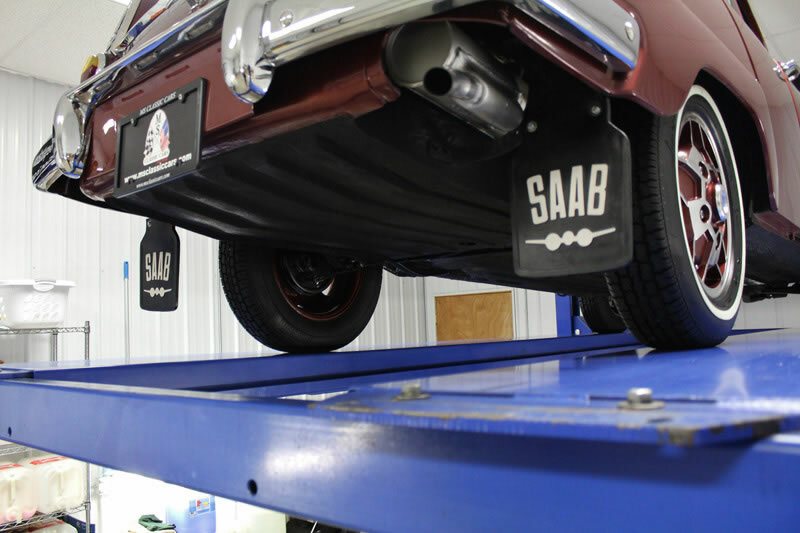 The car sits on the Saab Sonett wheels that were painted to match the exterior with american classic whitewall tires that are 165 r15. 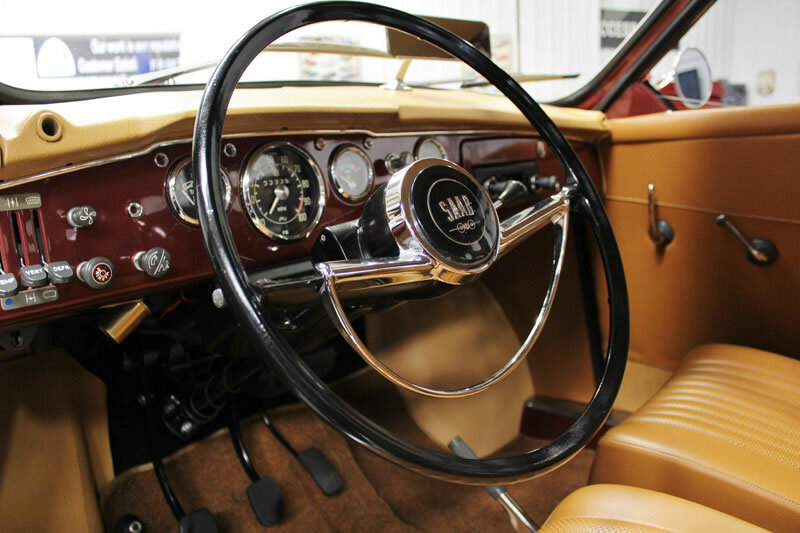 The interior is absolutely stunning in every sense of the word. It sports Mercedes-Benz Tex weave with bamboo rattan pattern accents in cargo area. The dash was painted the same color as the exterior. The exterior and interior color combination is a perfect match. This interior is very comfortable and spacious considering it’s a smaller car. 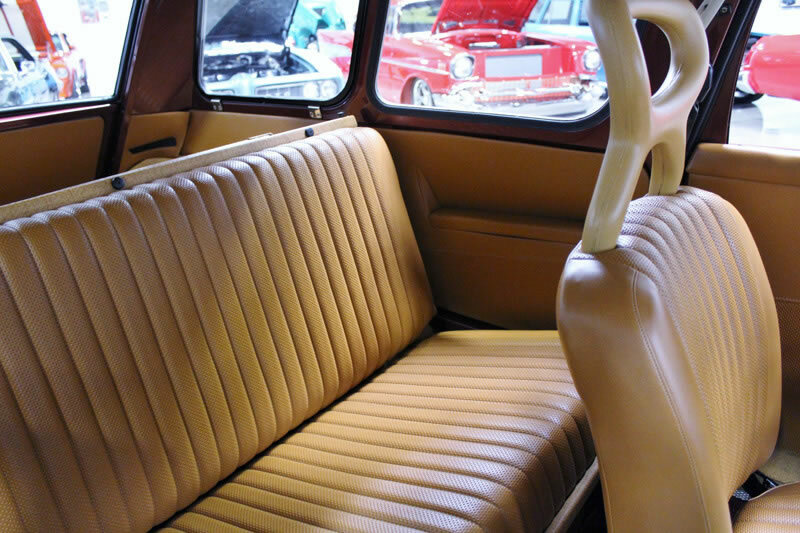 The rear facing seat is so cool. Everything in the interior has been restored or replaced. Some of these items include the headliner, visors, gauges, switches, knobs, steering wheel, door panels, seats, carpet, etc. It has an aftermarket coustic radio. The engine compartment was completely painted and highly detailed. Everything in the engine compartment was restored or replaced. 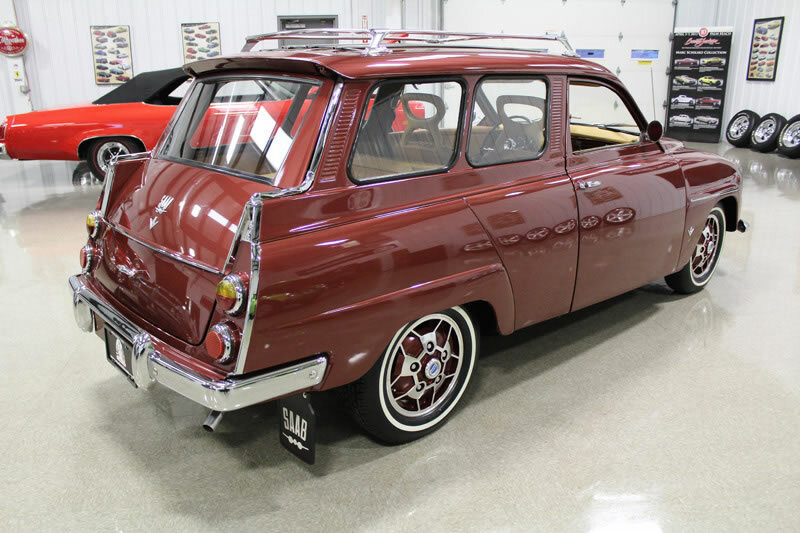 It’s home to the 1,498 cc v-4 cylinder engine. As stated in the prior owner’s description the engine was rebuilt. The carburetor, starter, alternator, water pump etc were also rebuilt. The engine casting number is #12l a with stamping #200543. This engine starts very quickly and purrs like a kitten. The engine is coupled to a 4-speed manual transmission. The transmission seals, gaskets and bearings were replaced. The transmission casting number is #880901 and the stamp is #f 82128. 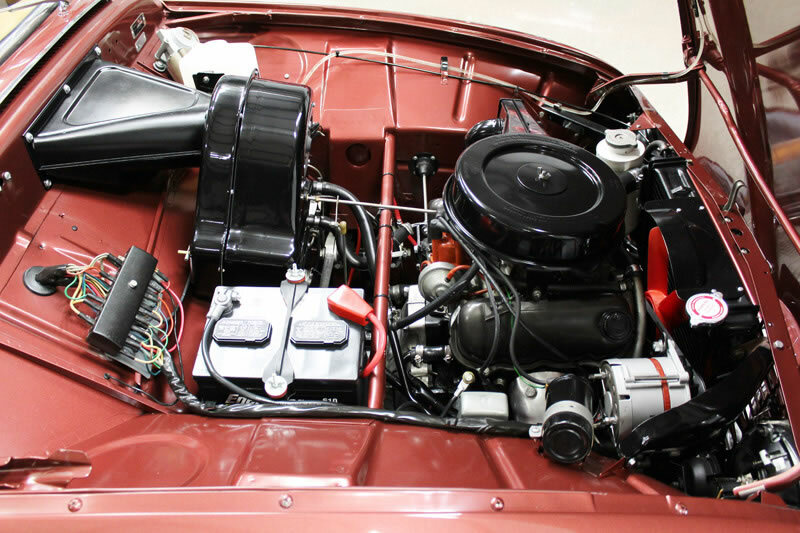 When was the last time you’ve seen a European classic car with an engine compartment that was this detailed? The undercarriage was also restored and looks very clean. 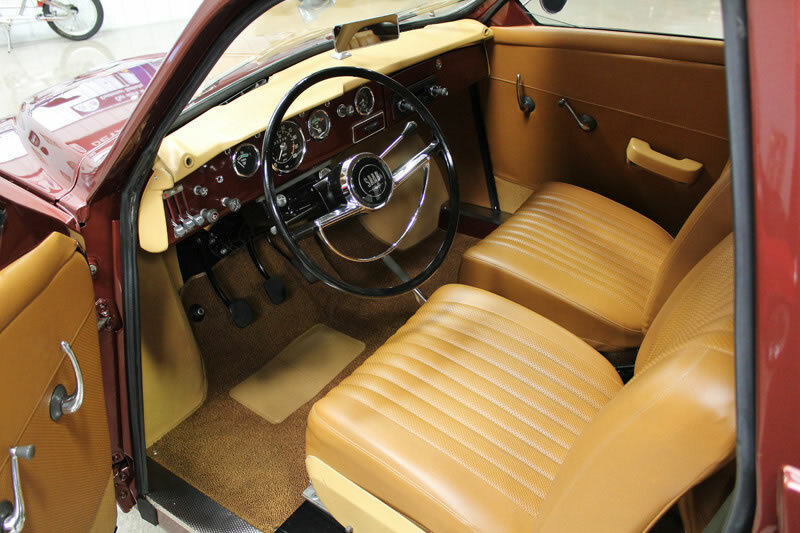 This car is equipped with front disc and rear drum brakes, parallel- wishbone independent front suspension with coil springs and rear swing axle with coil springs. I used to own a 1990 Mercedes-Benz 300TE before with the same kind of MB-Tex upholstery. 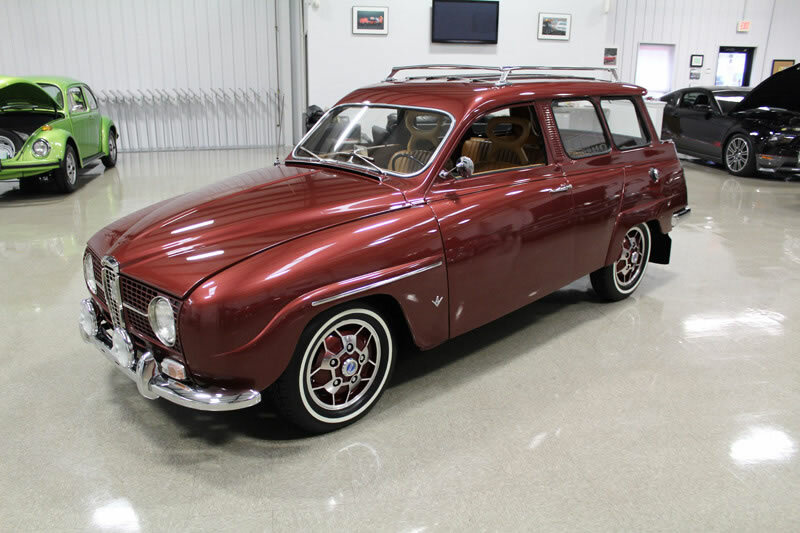 While it may not be original to this Saab, it is comfortable, looks good and will last a very long time. Surprisingly, it was also pretty comfortable in hot weather. I think it looks good in this Saab 95.